“A renaissance in any country comes first through the public sector, the leaders and the mechanisms through which the private sector can leverage the productive, political, economic, and social aspects of the state. From this perspective and inspired by His Highness Sheikh Mohammed bin Rashid Al Maktoum's vision, the government has leveraged the rapid development of knowledge and the emergence of new data in the field of administration to help lead this new era in Dubai. With new technology and innovation, our view of the world has begun to shift, with changes in the core principles of management bringing about the need for a new entity capable of taking on new responsibilities. 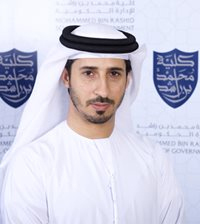 The development and modernization of administration can help incorporate all variables, reformulating them into easy and effective templates capable of fulfilling all administrative requirements in governmental and semi-governmental sectors, and reflecting positively on the government's work landscape in the emirate. To achieve its mission, the School adheres to global best practices developed in collaboration with US-based Harvard Kennedy School, an institute that prepares leaders for finding holistic solutions to public problems. Such collaborations have enabled MBRSG to become the first research and teaching institution focused on governance and public policy in the Arab world. Our role at MBRSG is to develop the administrative system of Dubai, the UAE, and the Arab region, empowering future leaders and preparing them for the next stage – achieving sustainable administrative development, fostering knowledge, exchanging views and applied research, and collaborating with the public and private sectors as a gateway to managerial excellence.